Savor the first greenhouse cucumbers of the season with this refreshing salad recipe from Things I Made Today. 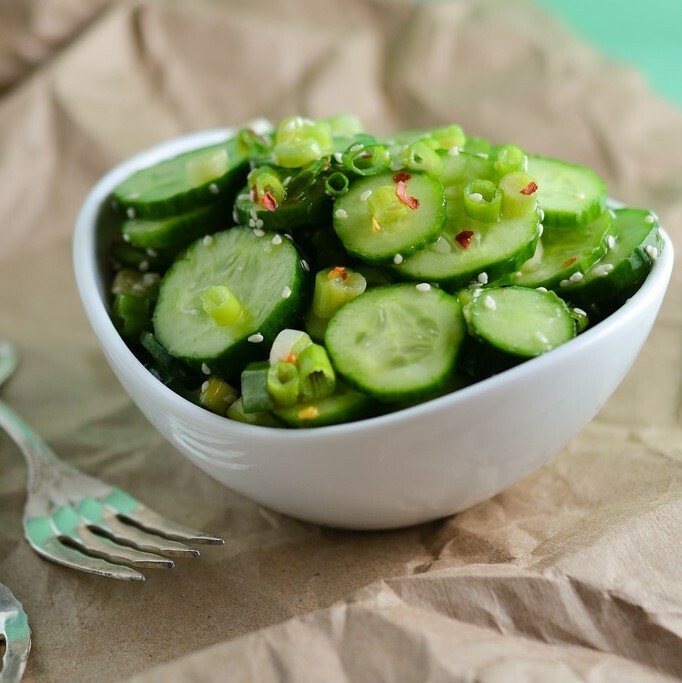 In a large bowl, combine cucumbers and scallions. In a small bowl, whisk together sesame oil and white wine vinegar. Pour over cucumbers and toss to coat. Stir in sesame seeds, red pepper flakes, and salt. Let sit for 10 minutes before serving.